Everyone wants to be able to save $10,000 in a year, but to most it almost seems impossible. But it’s not. If I can do it, you can do it. To have $10,000 saved in a year is a wonderful goal to have. 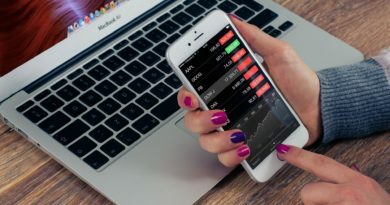 The first and most important thing in sustaining your finances is to save money, of course, but how to make it to $10,000 without touching it? First, I want to say that I know everyone’s personal life is different but I do believe that the tools and values I learned and used for myself could provide a lot of guidance to anyone trying to achieve those financial goals? Why do I want to save up $10,000 in a year? I just bought a house a few months ago. I love traveling, especially going to Disney World and farmhouse decor. If I don’t work hard, I will spend myself right into debt. If I could save $10,000 in a year, I knew I would reward myself with some goodies but the sense of accomplishment and financial security would be the best gift. One of my goals is to have $0 in debt outside of my mortgage. First, I need to know some of the best tools I can use to save the most money I can in a year, let’s say $10,000! It seems like quite a lot, but it is possible to accomplish. 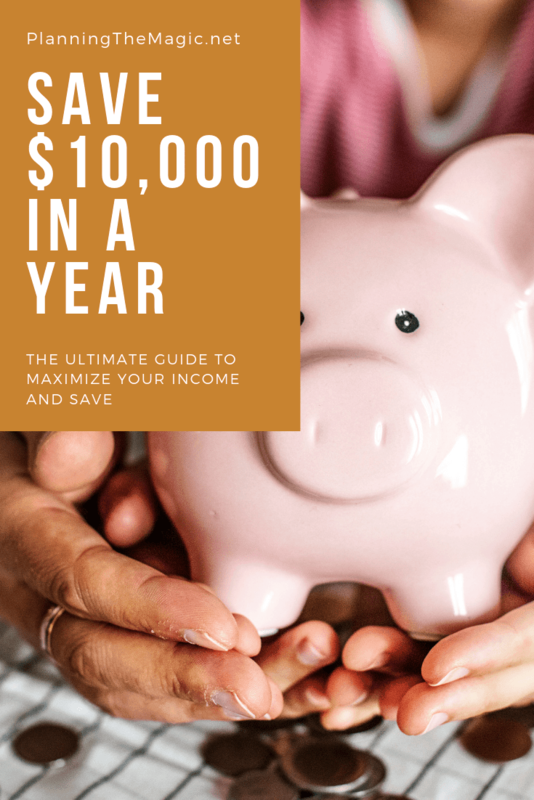 We are going to go over exactly how to save $10,000 in a year. To do so, we are going to get our spending in order but also talk about some tips, tricks, and secrets to level up our saving potential. If you’re like most people, like me, you might have no idea where to start. A paycheck comes in after paying your mortgage, child care, groceries, cell phone bills, utilities, dinners out, toys, and your shopping addiction, there’s nothing left. It almost makes you feel like saving money isn’t actually possible. If you don’t have one, now’s the time to change your financial life. I have helped many people set up their budget and you will be surprised what you will learn about your financial situation when you do. Once I realized how much I was helping people’s financial situation just by creating a budget, I wrote a post all about it to help everyone there. Find that here. What’s the money in? For example, you make $16/hr at a full time job, or $2,200 monthly after tax..
By doing something like this, you can see that: #1 there is no room or money to be saved. This “money out” = $2,200 which is the money in. #2 Some of these spending habits are financially unhealthy. #3 We can find money to save! That’s the best news! Now the budget needs to be adjusted and you need to ask yourself two questions. Does this spenditure really bring you the value you are looking for longterm? Does this get you closer to your budget? With a little creativity and sacrifice, and the tools I will provide you, your budget can start to change. I find it mindblowing how I can spend $35 a week on groceries and eat well or $150 on groceries and eat the same. How is that even possible? The science to lowering your grocery bill is to meal plan. It might sound silly but having a plan is never a bad thing. A meal plan turns into a grocery list. It also allows you to plan and use what you already have. With a grocery list, you won’t buy things you don’t need for that week. Having your grocery list done puts your one step closer to saving $10,000 this year. Meal planning on a budget means almost no eating out, an example of a sacrifice that needs to be made while saving money. Sure, this means guaranteed dishes every night and cooking your own food all week but hey, this is where the discipline comes in. I am a sucker for snacks and Chick Fil A but I practice a lot of control so that I can reach my financial goals. It’s not a permanent situation and I’ll be proud in the end. Still trying to maintain a healthy diet while saving cash? Eating well while trying to save $10,000 in a year has never been so easy! You don’t have to spend more than $5 a day indulging in these simple snacks! This dollar store utilization also applies to the rest of your needs. Cleaning supplies, cat/dog food, trash bags, bath products, makeup, and all other toiletries can all be found at your local dollar store. Are you like me and want to go to Disney 346 times a year? Are you a spa freak and need your nails done every two weeks? Is retail therapy one of your only outlets after you get off work? It is time to check out the dollar store, paint your own nails, and find other ways to decompress without spending any money. People always say quality over quantity, but it is also true that you might have to kiss some frogs before meeting your prince. When practicing frugality, dollar deals and used clothing are the stepping stones towards reaching those high-quality goals in the end. Imagine treating yourself without feeling guilty about the money you’re spending. Once you have saved your $10,000 getting your nails done will have never been so rewarding! In my case, being so financially free would elevate so much stress and allow me to travel more. It will be so worth the wait. You can still maintain a decent wardrobe on a budget, just stay away from the mall for now. Once that $10,000 has been stashed, a trip to the mall will be a nice way to treat yourself. When it comes to clothes, home décor, kitchen appliances and other electronics, thrift stores will always carry the cheapest prices because they are mostly used items. Even if I hit the lotto, I will still buy at thrift stores. I love getting brand name clothing for like $4 a piece. Since we are saving money here, you might want to put that gym membership on hold that you planned on signing up for. You’re definitely familiar with YouTube! There are plenty of workout channels with capable instructors so you can flow for free in the comfort of your own home! When looking at the bigger picture though, some of the most important things you can possibly save for would be a down payment for a house, a new car or car repairs, travel, retirement, debt, or an emergency fund. 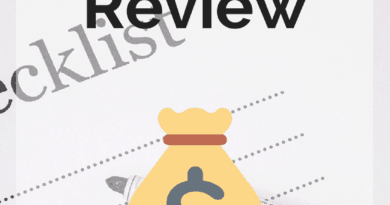 Once you’ve reviewed your money in vs money out, you can see exactly how much you’re missing. Now we can set out to find ways to get more money. Are you do for a raise at work? Review your progress and accomplishments and why you’re worth it. Start thinking about acquiring another source of income, a great step towards saving $10,000 in a year. A job on the side will make money move into your savings account even quicker. Maybe a part time job during the holiday season to get more cash flowing through your budget. Since you have been buying used, it’s time to think about selling used. Have a yard sale if the weather is nice, make some posts of working appliances you never use anymore on Facebook market. If they are no use to you anymore but still in good condition, they will most likely be of use to someone else. Spending all of this time at home while $10,000, going through and clearing out unnecessary items is a must this point. Look at your wardrobe. Again, utilize Facebook Market to sell that brand new jacket that you never wore, or that dress you only wore once and have no idea when you’re going to wear it next. Any extra money you make selling your stuff, or birthday/Christmas money should be put into the bank as well. Though it might be tempting to pick up a Starbucks Frappuccino or get your eyebrows done, working towards saving $10,000 in year will be the bigger and better reward. Earn extra money from home with websites like Swagbucks. Swagbucks is a search engine very similar to Google but it rewards its users. After a certain amount of time of browsing and searching, Swagbucks gives you SB points. Once you have a certain amount of SB points you can redeem them for either gift cards or earn money through PayPal. You can also earn SB points by filling out surveys and referring friends. 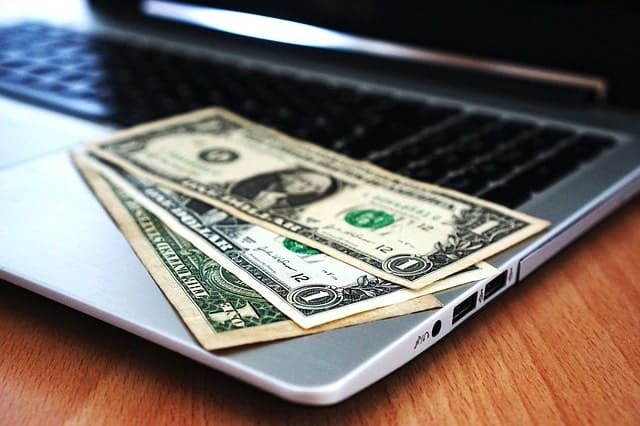 More ways to earn money from home. You can easily save $500 a year, especially if you use cash often. You do so by collecting cash in a jar of some sort and maximizing how often you do so. Every time you get anything $5 bill or smaller, you set it aside towards your savings goals. That way when you spend money, you save money too. Even when you receive cash from a friend for gas or chipping into something, put it in a jar. If you aren’t a cash user, you can use a virtual version of a change jar and connect it to your debit or credit cards. There are many apps that do this but I personally use Acorn which then takes my small contributions and invests it. 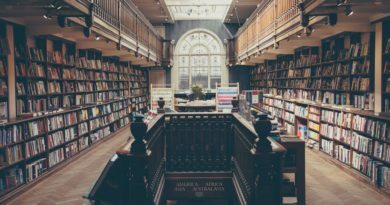 It’s kind of how I get into investing too, which I discuss more here. These tips below will help you accumulate less waste in your home while saving your $10,000. Who said a wealthier you can’t be a healthier you? Quit buying water bottles, and find a reusable one on that lovely dollar store! This same rule applies to coffee mugs. Make your own coffee, every time. It is so much fun to try to find a brand or a bean you like. You can even invest in a fancy coffee machine. Turn making your own coffee into a journey. Carrying reusable bags and reducing the amount of disposable items you usually buy is a great way to start saving money. Turn the heat down a few degrees or the AC higher. Just a two degree difference can change your bill for the better. In fact, I almost never turn my AC on. I am a huge fan of fans and having my window open. I find that being able to be without AC most of the time, especially at night, is just something that takes some getting used. Anything above 90° will test me. There are needs vs wants, right? You need food, clothing and shelter so you have just enough! Think about making do with what you own and repurposing some items that you already have at home. Pinterest is packed with great ideas for this! To make saving $10,000 in a year a bit more doable, think of how much you will be saving weekly, which is $192. That doesn’t sound too terrible right? We can do this! So let’s get serious and start saving that $10,000. Check out Ally Bank, the only bank I suggest for a savings account, an open an account. If you have direct deposit, you will more than likely have the option to add another account for depositing a portion of your check or you can do a transfer from your checking. Having a seperate savings account will insure that the $192 will be sent every single week and will remain virtually untouched. Money in your checking account is too accessible. In order to be able to get to place where you can save, you have to budget like we discussed previously. 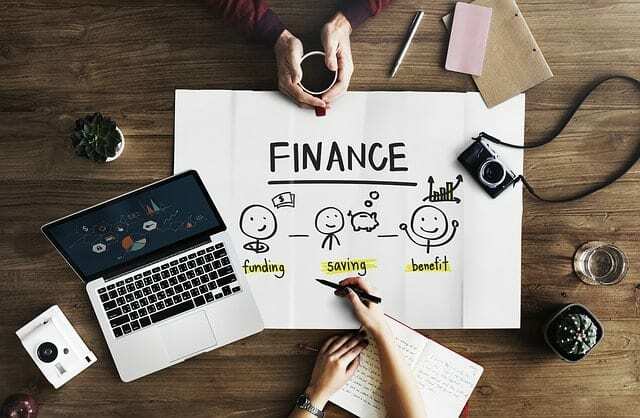 It may sound like a no brainer when the goal is save $10,000 in a year but believe it or not, many working adults don’t even have a budget plan. When you start to save, some adjustments might need made in your everyday life, starting with food. $10,000 is a lot of money, but it is not that much to save in the grand scheme of things. This society works to convince us to buy things we don’t need every day. If we could just take a step back and think about the future of our finances, saving $10,000 in a year will begin to come naturally. I think with determination, it can be done. I am not frugal enough to get that much saved, though. These are some fabulous tips to save that much cash in a year. I know that it’s pretty easy if you stay focused and determined on that goal! We are also working towards no debt but our mortgage. After the van is paid off (about 18 months) we will be there! My husband and I have a goal to pay off our mortgage in the next 3 years! So far, I believe we are on track, and hope to to continue! I am the budgeter in our house! It is amazing how much money you can actually find when you are not worried about debt! These are all great tips! I am working on a pretty strict budget right now and want to pay stuff off so we can save. It is a long process! Oh yes! I would like to save $ 10000 in a year. This is a good goal. Thank a lot for your tips! That would be a dream to save that much in a year! With a little patience, anything is possible! I need to do this. I spend so much money all the time on stuff I don’t need. These are great tips! I need to start listing and sticking to my budget so I can save more.